Industry leaders hope to use a May 31 cut-off date to determine age. Splitting sheep unnecessarily can devalue the carcase by up to 40 per cent. Industry chiefs have gained a step towards maximising sheep carcase profits after the costly method of teeth checking was branded unnecessary. The National Sheep Association (NSA), alongside the NFU and NFU Cymru, welcomed the vote which last week (February 1) confirmed farmers no longer had to check for the eruption of a permanent incisor but could instead use a May 31 cut-off date to more accurately determine age. Splitting the sheep unnecessarily can devalue the carcase by up to 40 per cent. NSA chief executive Phil Stocker said: “Switching to a calendar date is the preferred option and we welcome the opportunity this subtle change in the regulations provides for the sheep sector to move forward. 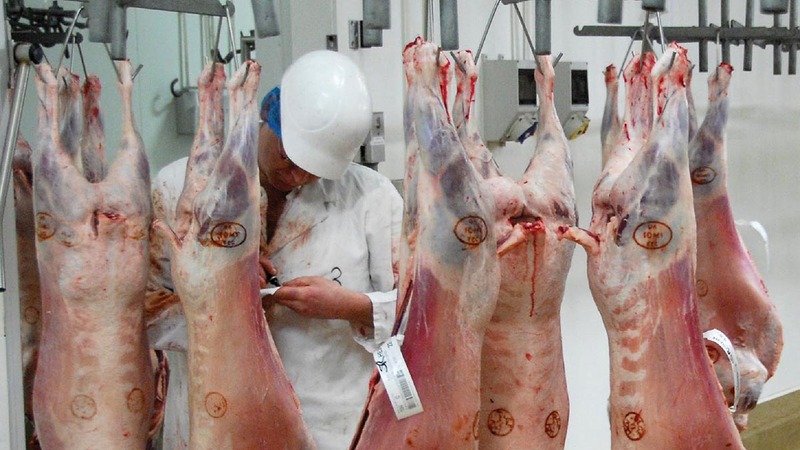 In order to be accepted into the food chain, regulation under the European Parliament states the carcase of sheep aged more than 12 months must be split to remove the spinal cord and avoid the transfer of transmissible spongiform encephalopathy through specified risk material (SRM). But the Standing Committee on Plants, Animals, Food and Feed’s decision to relax SRM rules means farmers with sheep and goats no longer have to disregard the spleen, ileum and tonsils from the spinal column before passing the animal through the food chain. Mr Stocker championed the move and said the ‘confusing, costly and inaccurate’ method of checking teeth was a long-standing issue in the industry. A Food Safety Authority report on this topic previously said aging by dentition check was an ‘imprecise process as the first incisor can erupt at any point between nine and 15 months of age’. NFU national livestock board chairman Charles Sercombe added: “Livestock farmers know well that checking teeth has never been the most efficient or accurate way of determining the animal’s age.